Should you go solar to save on electricity? The cost of electricity is going up. The Energy Information Administration projects the average cost of electricity will be 13.45 cents per kilowatt hour in 2020, up from 12.91 cents in 2018. This means higher bills. While there are small steps you can take to cut back on your electricity use, some homeowners are lowering their bills by going solar. “Solar is one of the best financial products out there,” said Vikram Aggarwal, founder of EnergySage, an energy marketplace. Solar panels generate electricity from the sun. They provide an alternate source of energy for light and heat for your home. They are touted as a way to both reduce greenhouse gas emissions and lower electricity costs. Solar panels aren’t just for those living in sunny places like California. They work anywhere in the country and in almost any weather, even on cloudy days. How much does solar typically cost? Aggarwal said the average cost to buy and install a solar panel can range widely depending on its size. A 2-kilowatt system can cost as little as $6,100 while a 25-kilowatt system can cost $76,250, according to EnergySage. The solar company and quality of the equipment can also affect the cost. Though the initial cost is high, the U.S. government offers a 30% solar tax credit, and some states offer additional incentives. “At this point, they are really one of the cheapest ways to generate electricity out of any fuel source,” Aggarwal said. He also noted most solar companies offer lower-cost leasing plans if you can’t shell out the money to buy upfront. If you can afford it, installing solar panels can be a worthwhile investment. Not only do you save each month on electricity, your home will likely be worth more. One thing to watch out for? Leasing. O’Connor said that solar leasing companies often offer “extremely bad deals.” Though the initial cost is cheaper, leasing prevents you from building equity from the solar panels. When you sell, you’ll have to convince the buyer to take over your solar lease or buy out the remainder. 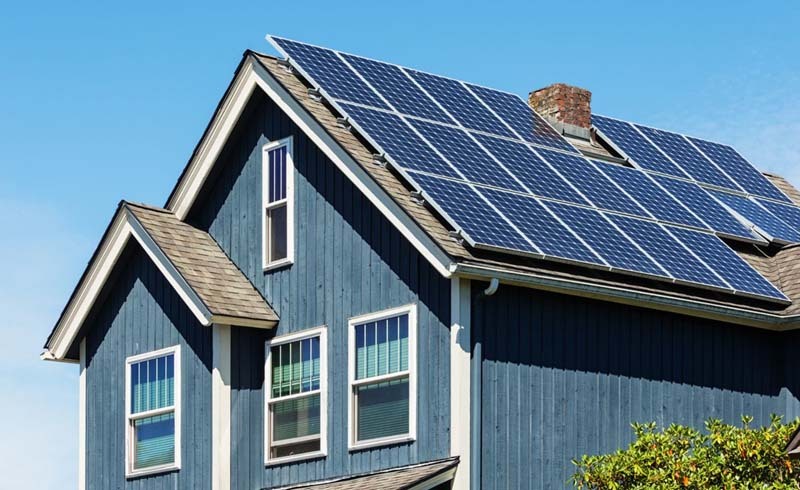 If you are looking to buy a home with a solar panel, make sure to inspect the condition and age before you make an offer. O’Connor said older panels (15 years or older) will likely have to be replaced sooner, which is a huge cost. The first thing to do when figuring out how much solar can save you is figure out how much you pay now. Electricity prices vary across the country. Residents in Massachusetts pay more than 21 cents per kilowatt hour, while residents in Louisiana pay 9 cents per kilowatt hour, according to the EIA. Homes with higher electricity rates will typically save the most switching to solar, said Aggarwal. The more your electricity company charges, the quicker you’ll recoup the cost of installing panels. Here’s a calculator to help you estimate your solar savings. Solar panels typically last more than 20 years, so they would potentially pay for themselves multiple times over. While it may be tempting to buy lower-quality panels to save on upfront costs, it may not last as long as a high-quality system. Similar to shopping for insurance, homeowners looking for solar should compare as many options as possible. Aggarwal recommends talking to your financial adviser before committing to the purchase. If going solar isn’t for you, there are other ways to drive down your utility bill — including negotiation. Here's how. 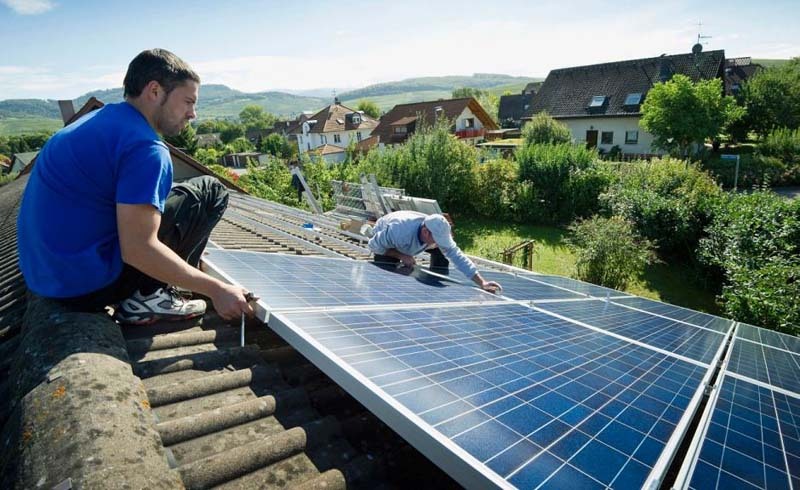 U.S. Daily News: Should you go solar to save on electricity?